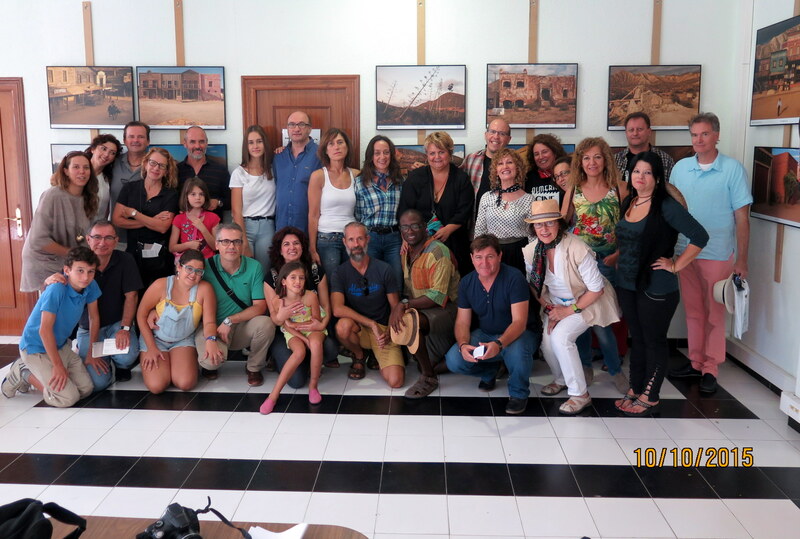 My exhibit “Érase una vez en Almería: Decorados, Restos y Paisajes de Cine” (“Once Upon a Time in Almería”) opened last week in Almería, Spain, with a reception and artist talk. The show includes 18 framed prints 24″ x 36″, all images of film sets and locations around the province of Almería, which was the site of hundreds of movie productions throughout the 1960s and 1970s. It was an emotional experience for me to have these photographs exhibited in Almería. 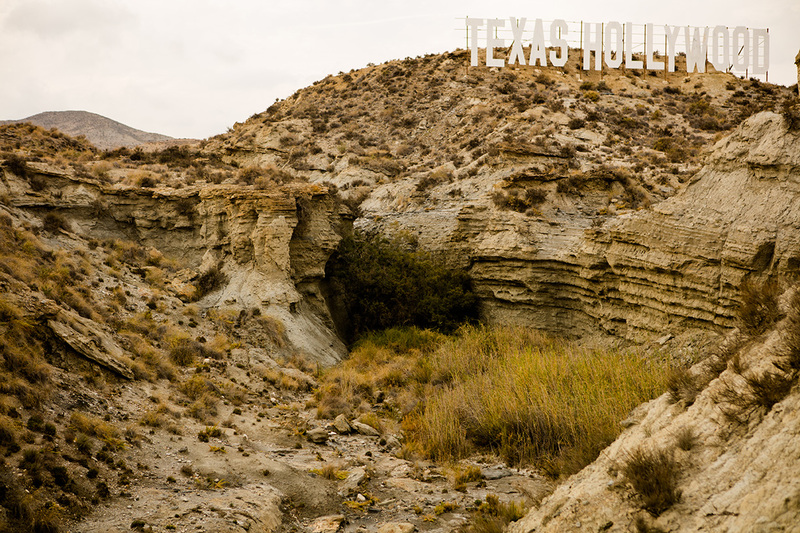 The town of Tabernas, where the exhibit was located, is host to three remaining western movie towns and has been a focal point for cinematic activity over the years. Additionally, the exhibit provided an opportunity for me to share the work with friends and family in Almería and to reconnect with the land my grandparents left almost a century ago. Many thanks to all who helped make this exhibit possible, including the Instituto de Estudios Almerienses, Mar Verdejo, the Tabernas City Council, and the Almería Western Film Festival, which provided an appropriately festive and nostalgic atmosphere over the weekend. The exhibit will travel to other locations around the province. 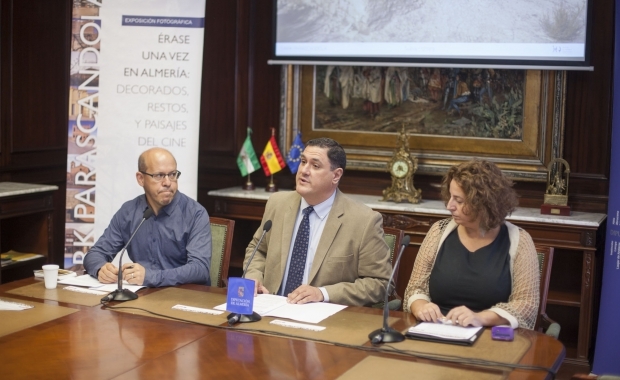 The Diputación Provincial de Almería has posted video of the press conference here (in Spanish), including commentary from IEA head Francisco Alonso, Mar Verdejo, and myself. Mar Verdejo, herself an author and expert on the landscapes of Almería, wrote a thoughtful essay on the body of work, noting the capacity of the images to illuminate a seemingly barren landscape and to expose memories of the past, both historical and personal. All content © 2005-2019 Mark Parascandola. All Rights Reserved.